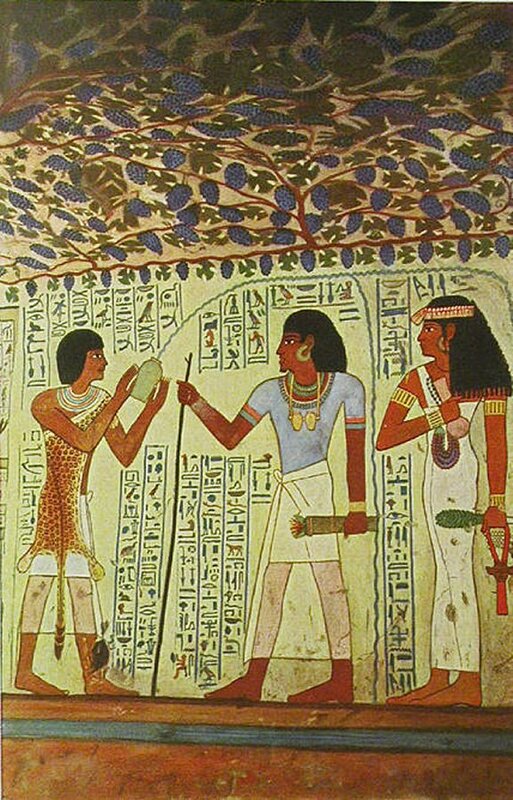 Sennefer and his sister Meryt, standing before a quantity of offerings presented by a priest clad in a leopard-skin. Then they are both seen purified with holy water by a priest connected with the mortuary temple of Thothmes III. Strange to note that, on one of the amulets around the neck of the figure of Sennefer, the name of 'Alexander' is written in hieroglyphs; this would lead one to suppose that the tomb was open in the Greek period, and was visited by a person of that name.